I really like these traditional japanese tato. The word Tato is used to describe envelopes, or flat containers, that are folded symetrically. 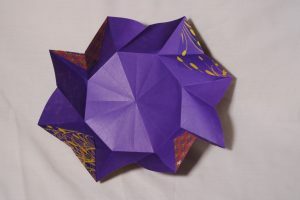 Some of them are square, but most of those I’ve seen are octogonal – and they are my favorite, too :) This specific model can be found in Calming Origami (ISBN 9781488908088), but there are many, many variations (more in a later post). The book is not very interesting, there are only 10 traditional models, but I have no other diagram for this specific tato, and the papers to cut out are gorgeous. Each tato is folded from one sheet of square paper, but the corners are folded in – you can also cut an octogon. The gorgeous gold/red paper is 24cm Toyo paper. 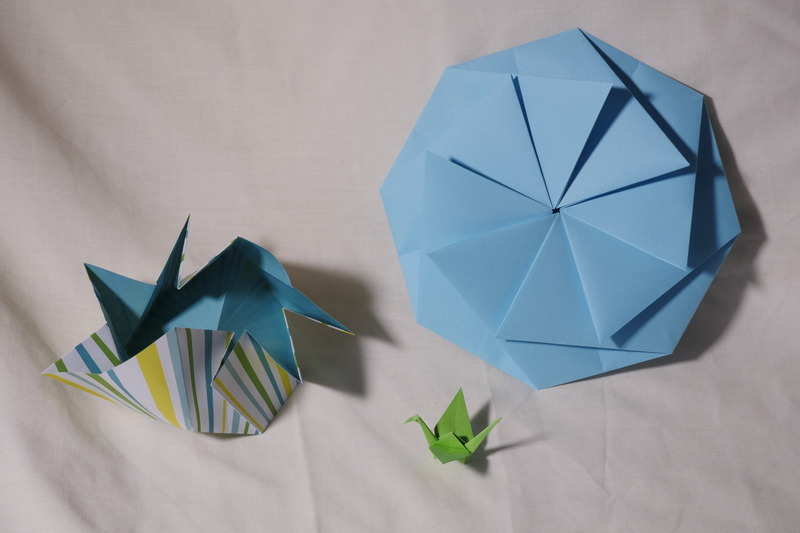 The small flower is 7.5 cm double-sided Toyo paper. The patterned / purple paper is 21cm, from the giant nuinui kit. 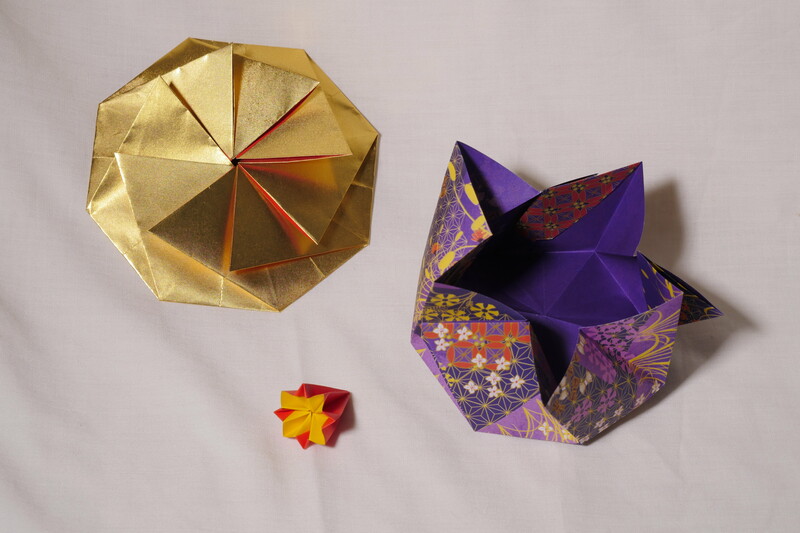 All of those papers are available from origamishop, except the Sachenmacher, that I got from Amazon. It’s a beautiful envelope for a little note to loved ones, and it’s magical how it wants to go back in place once opened, because of the paper memory.